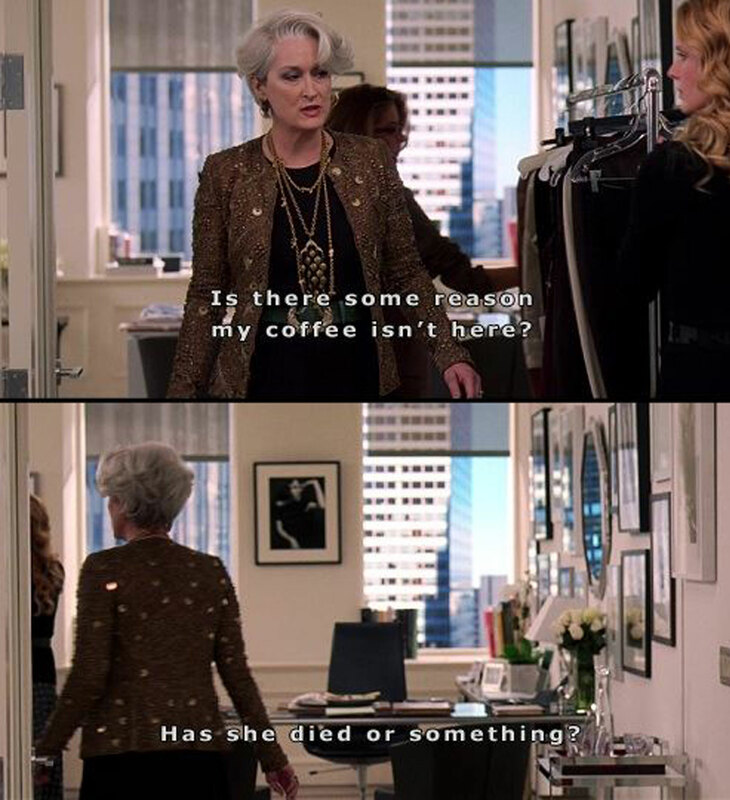 This morning I saw this photo from one of my favorite films “The Devil Wears Prada,” and it gave me a good laugh. Meryl Streep is one of my favorite actresses and she plays this part so perfectly. Like Miranda, (her character’s name) i would someday love to be a magazine editor. But I would definitely be a less harsh than Ms. Priestly aka the Devil Herself. Happy Monday! Make sure to get your coffee!! I’ve watched The Devil Wears Prada twice in the past month (not to mention countless times since it came out) and never fail to laugh at this scene 🙂 Have a great rest of your week! Previous Previous post: Did Diane Take It TOO Far?